Native 2.7K video at 30fps, gyro stabilization, integrated 2" LCD display, front OLED display, 4K time-lapse video, slow-motion video without post-production, Wi-Fi and mobile app, photos up to 16MP, photo burst, 2 batteries, complete set of accessories in the basic pack. 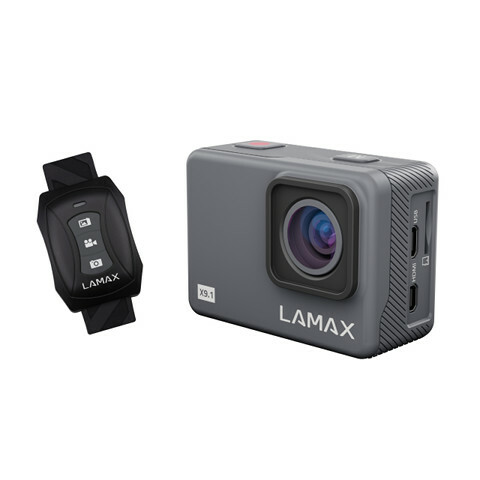 The LAMAX X8.1 Sirius action camera’s high native resolution of 2.7K guarantees crisp and precisely rendered shots. The result is further enhanced by the use of gyro stabilization which irons out camera shake and delivers the smoothness and fluidity typical of professional film. Shots remain steady even when walking, cycling or on the water. An action sequence of shots is simple thanks to the photo burst mode which shoots a series of stills up to 16 megapixels. Captured images can be viewed in real-time or on the 2-inch display on the back of the camera plus a small handy OLED display on the front makes sure you’re always filming at the right quality and settings. Thanks to this you can create uncompromising shots, whether it be time-lapse video at the highest 4K resolution or slow-motion video where you can explore each and every detail of your movement. In addition to two displays the X8.1 Sirius is equipped with two batteries as part of the basic pack. This greatly enhances its outdoor usability as does the rich set of 24 accessories. Unrivalled grip plus a shock-proof case that’s waterproof up to 30m enables you to capture situations you could previously only have dreamt of. A range of different settings let you adjust the image directly on the camera to perfectly suit the conditions. With gyro stabilisation turned on, the resulting footage is without camera shake and film-like at all resolutions. Large two-inch rear LCD display captures the action in detail and makes menu navigation a breeze. Handy 0.66" OLED display on the front shows camera functions and shooting modes so you can always be sure of what settings you are shooting with. With two batteries in the basic pack, you can double the life of your camera without recharging. To get started right away, there are 24 accessories in the basic pack, including a protective case that’s not only shock-resistant but also waterproof up to a depth of 30m. 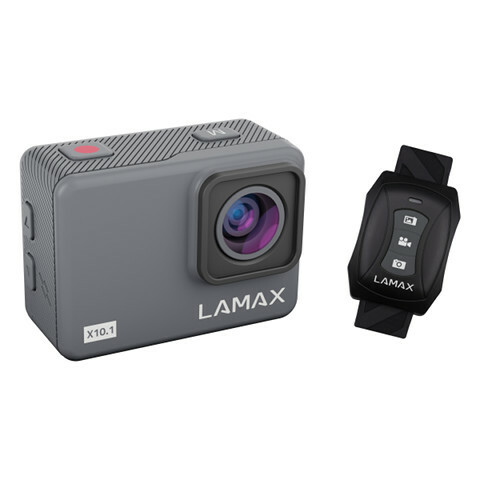 Flagship LAMAX camera with real 4K resolution at 30 fps, gyro and optical stabilization (OIS) for super-smooth video, up to 4x Full HD slow-motion shots with no loss of quality, waterproof up to 40m, 2" LCD display with multilingual menu, 12MP photos and state-of-the-art H.265 video codec, Wi-Fi, complete set of accessories including extra battery and hard case, wristband remote. Action camera shooting in real 4K at 30 fps, gyro and optical stabilization (OIS) for smooth video, Full HD at 60 fps perfect for slow motion, 2" LCD display with multilingual menu, waterproof up to 40 m, Wi-Fi, photo resolution up to 12 MP, latest H.265 codec, a ton of accessories out the box. 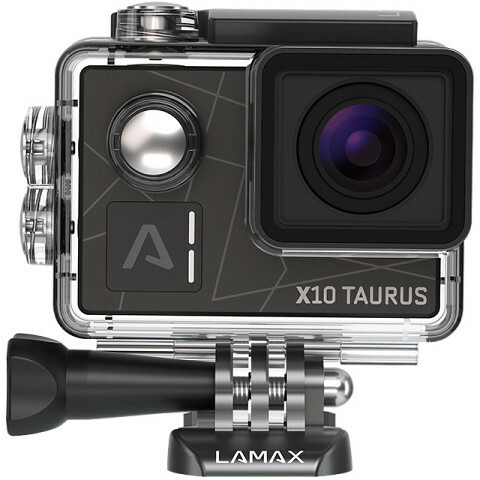 With the X10 Taurus, LAMAX has set sail into the waters of the premium action camera. Professional cameramen and adrenaline athletes are not the only ones who can appreciate the high-quality, flawless, smooth and highly-detailed 4k video at 30 fps . Accept no compromises. The Taurus comes packed with features and a wide range of accessories including a remote control. 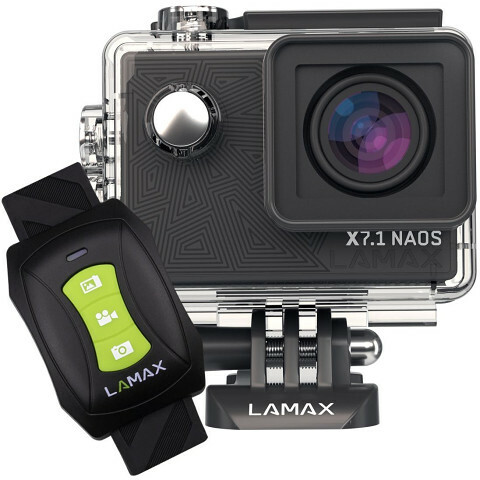 Native 2.7K video at 30fps, integrated 2" LCD display, wristband remote, 4K time-lapse video, slow-motion video without post-production, Wi-Fi and mobile app, up to 16MP photos, photo burst, 170° angle of view, complete set of accessories in the basic pack, waterproof up to 30m.